Pulldown menus with sub-menus opening on mouse-over are very popular. We recommend using Superfish for elegance, flexibility and SEO compatible design. We show you how to add this to your Newscoop publication in five simple steps. 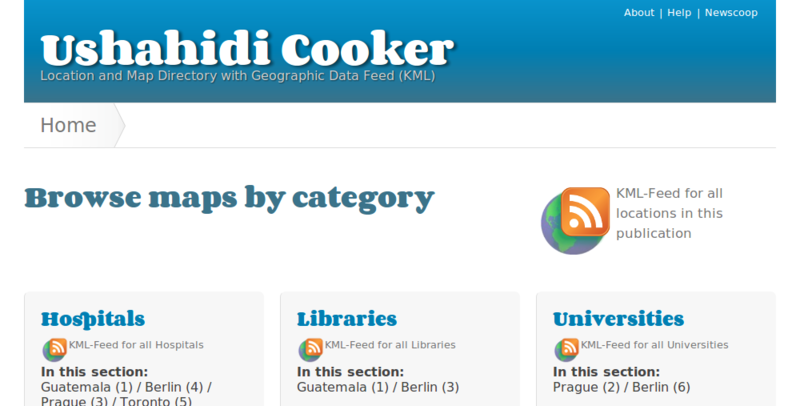 The "Ushahidi Cooker" is a directory of maps. We will now improve usability with a pulldown menu. After you downloaded the Superfish zip-file, fire up your text editor and open the example.html file. As you can see in this example, Superfish comes with a jQuery file (jquery-1.2.6.min.js). Note: there is a new folder now inside _css by the name of superfish with a subfolder css. Superfish has a css and an images folder, they both go into the new superfish folder. You'll make your life easier if you keep files in separate folders. Note: if a section is empty, the sub-list will not be built by Newscoop. 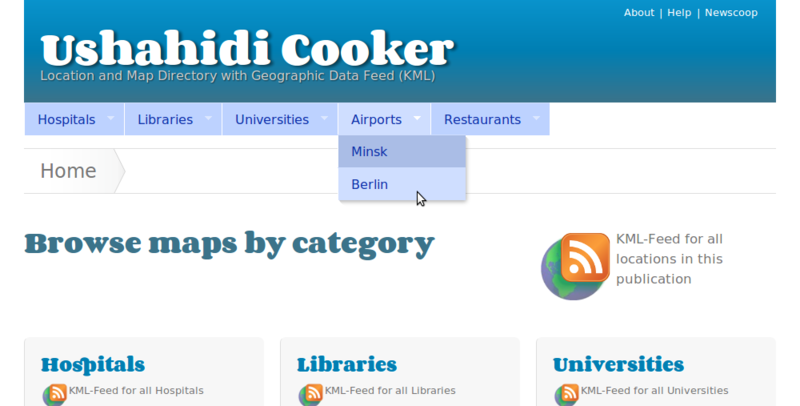 The "Ushahidi Cooker" now has a pulldown menu, showing the city maps for each section.